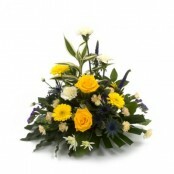 At Cooke and Thomas we are ideally situated to deliver your important flower delivery to Colehurst. 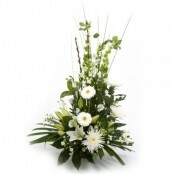 What is more because we are situated in close proximity to Colehurst we are able to send flowers same day. 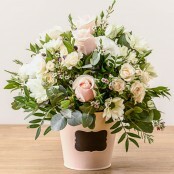 If you require same day flower delivery to Colehurst you can rely on Cooke and Thomas to deliver beautiful fresh flowers in double quick time. 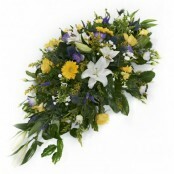 Please take a moment to browse our products, we are regularly updating our range and offer a wide selection of bouquets, handtieds, arrangements, funeral flowers and wedding flowers to Colehurst. Below is a selection of flowers that can be delivered the same day in Colehurst if ordered by 2.00pm (depending on stock levels). We can also deliver flowers the same day in the following areas Market Drayton, Little Drayton, Peatswood, Almington, Betton, Bletchley, Hales, Adderley, TF9, Greenfields, Brownhills, Longslow, The Four Alls, Woodseaves, Sutton, Almington, Betton, Longford, Styche Hall, Red Bull, The Sydnall, Rosehill, Hales, Ternhill, Cobscot, Crickmery, Blore Heath, Moretonwood, Moreton Say, Stoke Heath, Lightwood, Rhiews, Napley, Norton In Hales, Adderley, Chipnall, Shakeford, Lostford, Wistanswick, Mill Green, Mucklestone, Heathcote, Lockleywood, Cheswardine, Mickley, Wollerton, Saltershill, Goldstone, Loggerheads, Lipley, Wollerton Wood, Winnington, Napley Heath, The Common, High Heath, Woodlane, Ashley Heath, Stoke On Tern, Bearstone, Soudley, Hungreyhatton, Calverhall, Hinstock, Willaston, Knighton, Jugbank, Fauls and many more. 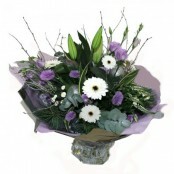 Please call us on 01630 478 499 to see if we can deliver flowers in your area.